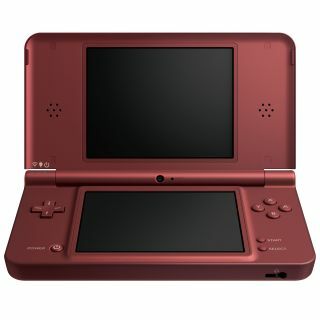 Nintendo is to announce a new 3D-capable handheld gaming console called the Nintendo 3DS at E3 this coming June. The Nintendo 3DS will allow you to play games "enjoyed with 3D effects without the need for any special glasses," according to Nintendo. The company will release the new 3D handheld console at some point within the next financial year, between April 2010 and March 2011. Kotaku notes that Nintendo president Satoru Iwata previously stated Nintendo was considering the "possible health effects" of playing video games in 3D for long periods of time. The Nintendo 3DS will be fully backwards compatible with Nintendo DS and DSi games. Nintendo recently released a DSi game in Japan that used the devices' camera to track your head movements in order to deliver a glasses-free 3D illusion to the gamer. It's not clear if this is the type of 3D tech that Nintendo plans to make use of in the Nintendo 3DS. TechRadar has spoken with a Nintendo UK rep this morning who could not tell us anything more about the technology being used in the new Nintendo 3DS. "We will not release any further information until E3 in June," the rep informed us. Stay tuned for updates as they come in. in the meantime, you can read the Google translation of Nintendo's 3DS press release online here. Nintendo Co., Ltd.(Minami-ward of Kyoto-city, President Satoru Iwata) will launch "Nintendo 3DS"(temp) during the fiscal year ending March 2011, on which games can be enjoyed with 3D effects without the need for any special glasses.